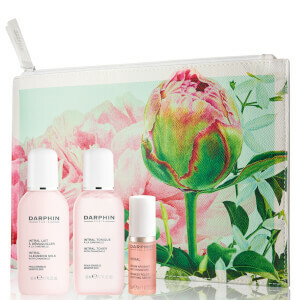 Receive a FREE Darphin Skin Soothing Trio when you buy selected from the Darphin Intral Range. Complimentary gift will be awarded at the basket. Offer valid for a limited time only, while stocks last. After reading the amazing reviews I decided to try the Darphin Intral Soothing Cream, along with the serum. My skin did not improve much beyond not getting an immediate redness reaction I usually get from some creams. After using it for two days, my cheeks started to flake. I was really hoping that this cream would be both moisturizing and soothing, since some people with dryness problems have had good experience with it. I can only say it is one out of two: soothing, but absolutely not moisturizing. This is especially disappointing since I also used the serum in the same series. I love Darphin and all their excellent facial creams. This Darphin Intral Soothing Cream For Intolerant Skin is amazing. I have an acne-prone skin, which still needs plenty of moisturizer, this cream helps my skin to stay clean and moisturized without leaving it greasy. I have spent a fortune on products in the past to try and cure my dry scaly skin around my chin and nose. This stuff is brilliant! The redness has all but disappeared, and my skin is soft and supple with no greasy film and hasn't given me spots. Highly recommended.